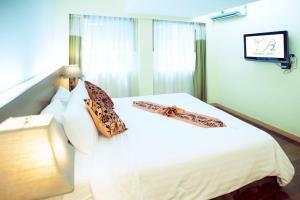 Only a stroll from Chit Lom BTS Skytrain Station and several shopping centres, P2 Boutique offers elegant rooms with flat-screen TV and free internet. 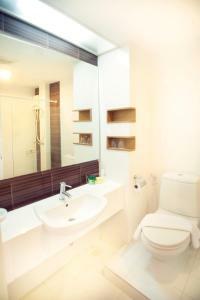 It provides a café and bar, and massage services. 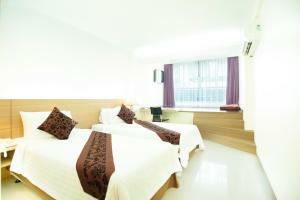 The hotel is within walking distance from Central World Plaza and Platinum Mall. 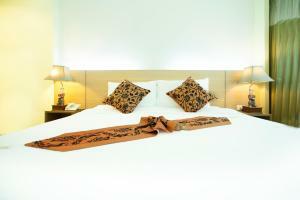 It provides a shuttle service to Bangkok Suvarnabhumi International Airport, located a half hour’s drive away. 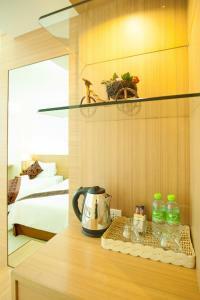 Situated along Petchburi Road, rooms at P2 Boutique Hotel are modern and spacious. 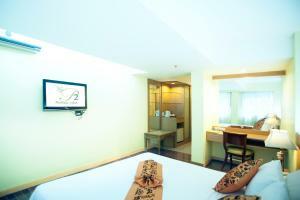 Bright and airy, rooms are fitted with wooden flooring and equipped with a 32-inch flat-screen cable TV, a minibar and a work desk. The all-day dining CooZi Bar & Café serves an international menu, while the bar provides a casual setting for relaxing with a drink. 24-hour room service is available. 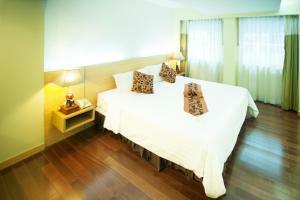 Basic rooms with wood flooring. 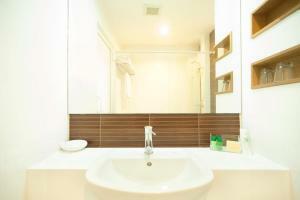 Features an en suite bathroom. 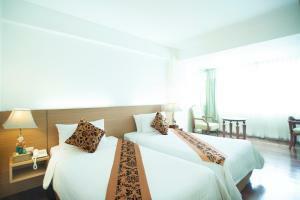 Rate: THB 1750.00 ... THB 2150.00; select dates below to get current rates. 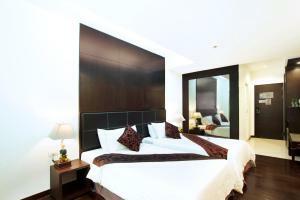 A luxurious room offering views of the city skyline. 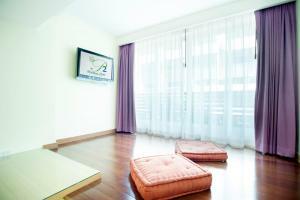 A large and luxurious room offering views of the garden. Features a spacious work area and high-speed internet access.